DIN Standards are invented for a variety of components including industrial fasteners as DIN 7339 Tubular Rivets. 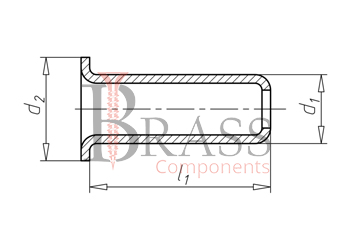 DIN 7339 Rivets are manufactured from Carbon Steel, Stainless Steel Grade A2 or A4, Brass, Alloy Steel, Plain Steel, Copper, Aluminium or many other materials. DIN 7339 Rivets are available in a wide range of sizes, shapes and materials. DIN 7339 Flat Head Tubular Rivets. Steel, Low profile head and Splined Body. 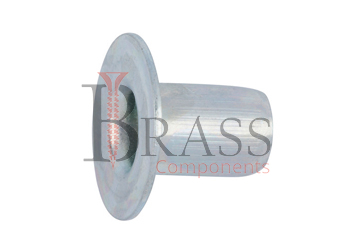 The head prevent rivet from rotating when it is installed. Available analogues include GOST 12639-80. Available with high load bearing features. The available coating and plating improve the brightness of the surface. For light proof load applications on non-metal parts. The splines on the body bite into the parent material on Installation, creating and improved torque resistance compared with standard round body rivet nuts. Provide minimal stand-off between the adjoining panels. Generally used in various fields with heavy duty applications. Widely used in automotive, electronic, instruments, construction and installation. Provide permanent and unbreakable joints. Used as a connecting element. We manufacture DIN 7339 Rivets as per Custom Specification and export in France, Italy, Switzerland, Poland, Greece, UK and other European Countries. For more Information, Please Contact Us or Inquiry Now.